Pix Of The Day: Who Were Those Red Cloud Chiefs? 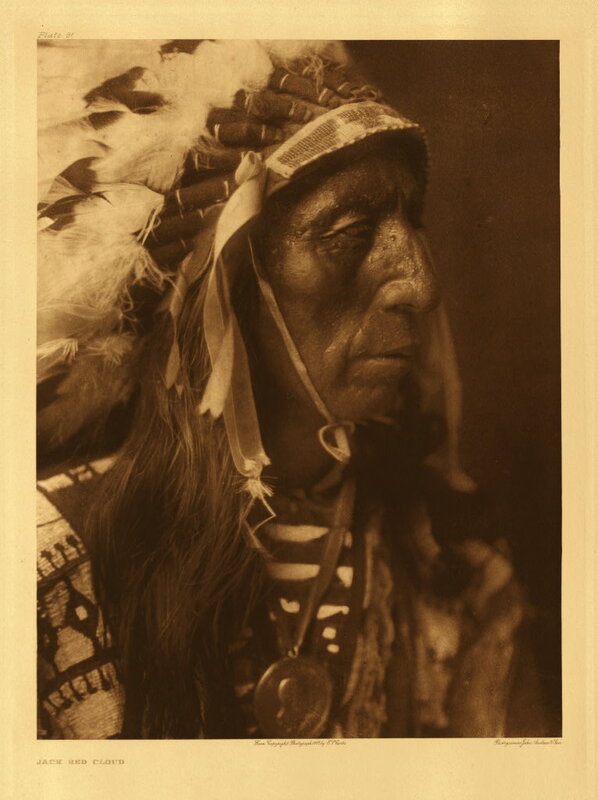 CREDIT: © Library of Congress, American Memory/Edward S. Curtis archive. WHERE: North America. WHAT: record of Native American culture. Thumbnail click pops-up larger image on source page. The work of Edward S. Curtis is not without controversy. For this introduction, however, we simply draw your attention to the Library of Congress 'American Memory' resource on Curtis's work 'The North American Indian', published in a limited edition from 1907-1930. From the available 2,200 images we chose a portrait of Jack Red Cloud. Studio size monitor users may enjoy a high-res version You may like to start your browsing of this extensive resource with the Edward S. Curtis In Context special presentation. Son of Red Cloud (1822-1909), Jack Red Cloud (1862-1928) became Chief of the Oglala Sioux at the Pine Ridge Agency during the last years of his father's life. You may see other Dakota-Lakota-Nakota Nation chiefs on the DLN Human Rights Advocacy Coalition web site. They made us many promises, more than I can remember. But they kept but one - they promised to take our land… and they took it." -- Chief Red Cloud.